More help is on the way for Carolinas residents affected by Hurricane Florence. Denny’s announced Sept. 20 that its Mobile Relief Diner is heading to the Carolinas. The 53-foot mobile kitchen will travel to affected areas to serve free meals to those in need, the national diner chain said in a news release. The truck will serve freshly cooked pancakes and bacon, along with coffee and other refreshments to local residents, first responders and others affected by the storm. The food truck is a “fully-functional diner on wheels” according to Denny’s, and it’s heading to the Carolinas after providing help to those affected by the wildfires in Northern California. “Knowing the devastation that Hurricane Florence has created and will continue to create in the Southeast, it is very important for us to deploy the Mobile Relief Diner straight into those communities to help the displaced as they work to get back on their feet,” Denny’s chief marketing officer John Dillon said. The Mobile Relief Diner will communicate with local officials, disaster relief organizations, and local franchisees and store operators to identify the areas most in need. 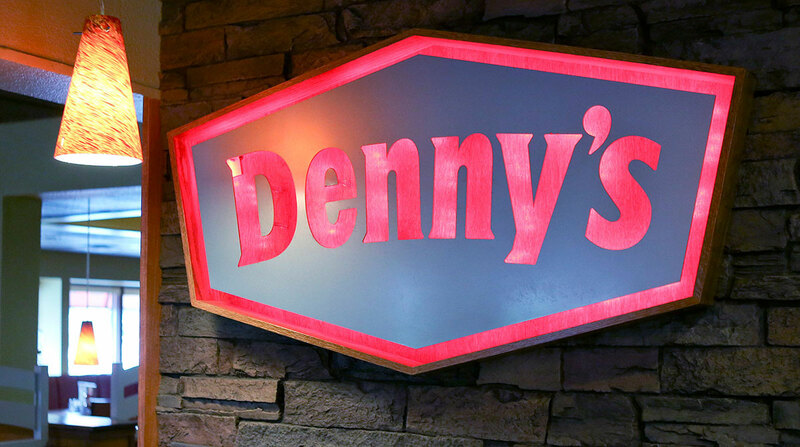 Denny’s provided similar relief in 2017 for people affected by Hurricane Harvey and Hurricane Irma in Houston and South Florida. “Over the course of two weeks, we were able to serve over 14,000 meals and seeing the impact that we had in those communities made us realize that the Mobile Relief Diner is the perfect embodiment of our brand,” Dillon said.